My almond tree blossomed today and the sun came out to celebrate. 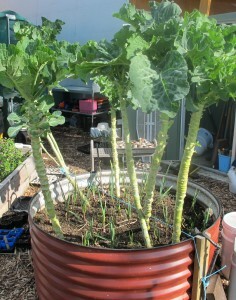 It has been a very cold winter here in Melbourne, with morning frosts crisping the spinach leaves. Driving around my heart lifts each time I see a magnolia tree in full flower, or a delicate prunus covered in white starry blossom. My kitchen window box has blue hyacinth and lipstick-pink miniature cyclamen. And on my desk is a fragrant posy of daphne with Parma violets. 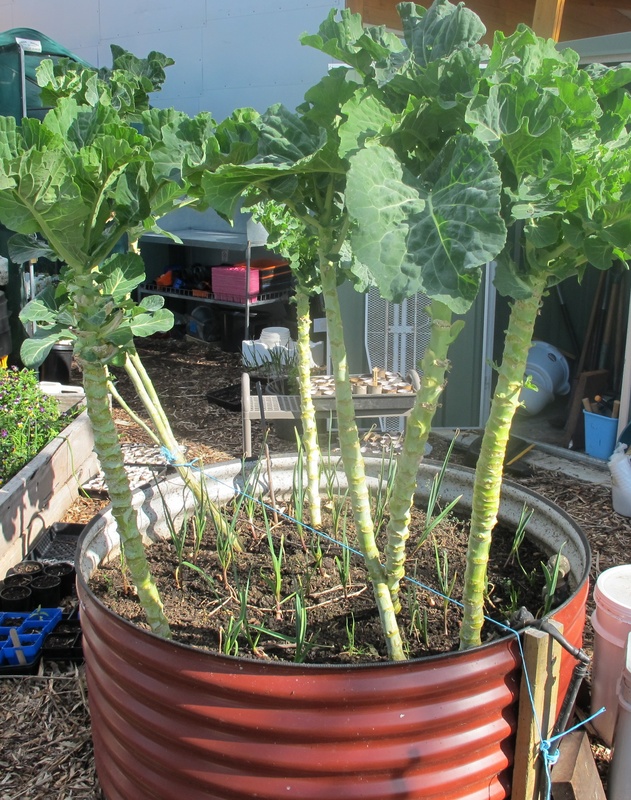 It has been an extraordinary few weeks for the Kitchen Garden Foundation. We formed a new and important partnership with Medibank Community Fund, acknowledging that we are both working to promote habits that lead to good health and happiness, and that have the potential to involve the community. And yesterday we received the news of $5.4 million of new funding from the Australian Government through the Department of Health and Ageing which will enable us to expand our reach to more and more schools with a primary enrolment, and to hopefully achieve our aim of having a kitchen garden program in ten per cent of all such schools in Australia over the next three years. As usual I have been visiting schools and as usual I have been delighted by all that I see. I came away from Sunshine North with a bottle of ‘worm wee’ which today I have sprinkled on all of my small lettuces, hoping it will initiate a growth spurt, helped by the sunny days. Lunch included freshly made linguine with lemon and herbs, a delicious Moroccan-spiced silverbeet, and an orange and date couscous, and a celery and shaved Parmesan salad. The kitchen specialist Ema is from Portugal. I love it when I learn something new. She showed me my first Portuguese kale (pictured above), and told me how it is shredded and added to the well-known Portuguese soup of ‘caldo verde’, made with potatoes and kale and finished with chourico sausage and a drizzle of spicy oil. 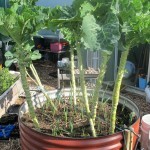 Plants grow in a tall, handsome, vase shape with large deep green, ruffled leaves that have white mid-ribs like silverbeet, which are sometimes prepared separately. The leaves are quite different in shape and colour to those of Tuscan kale. Ema told me that she picks the leaves from the bottom of the plant and as it continues to grow the central stalk grows straight and tall. The internet describes this plant as couve tronchuda, but admits it has various names. I wondered how closely related it might be to the plant I know as ‘walking-stick cabbage’, seen in France, and apparently common on the island of Jersey. Once the leaves are harvested, the stem can be dried and varnished to make an excellent walking stick. In the next week or so I shall visit the launch of the program at Margaret River in Western Australia, and assist at the launch of two Victorian schools at Auburn South, and at Brunswick South. This certainly keeps me busy, but not too busy to be part of a panel discussing my memoir A Cook’s Life at the Melbourne Writers’ Festival on August 24. I am also discussing this book and answering questions at Minimax in Brighton on Wednesday August 29th at 6:45pm.